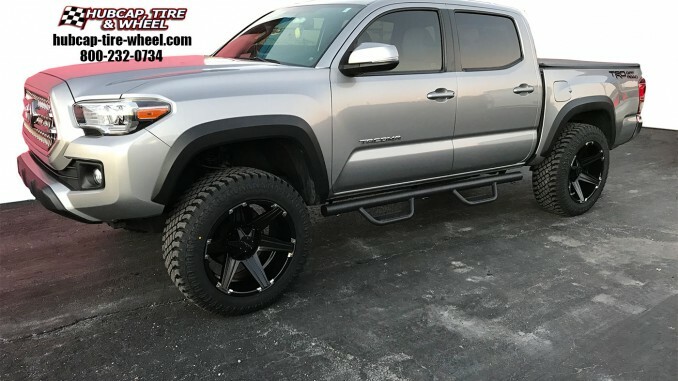 Take a look at our customer’s new silver sky 2017 Toyota Tacoma with 20 inch Tuff T-12 rims. The truck looks so much better vs. having stock wheels. Toyota’s OEM stock rims are so plain and boring. Putting a set of custom wheels on a vehicle is so easy to do and it changes the look of your vehicle like crazy. It’s literally like night vs. day. We can help you achieve the look you want. 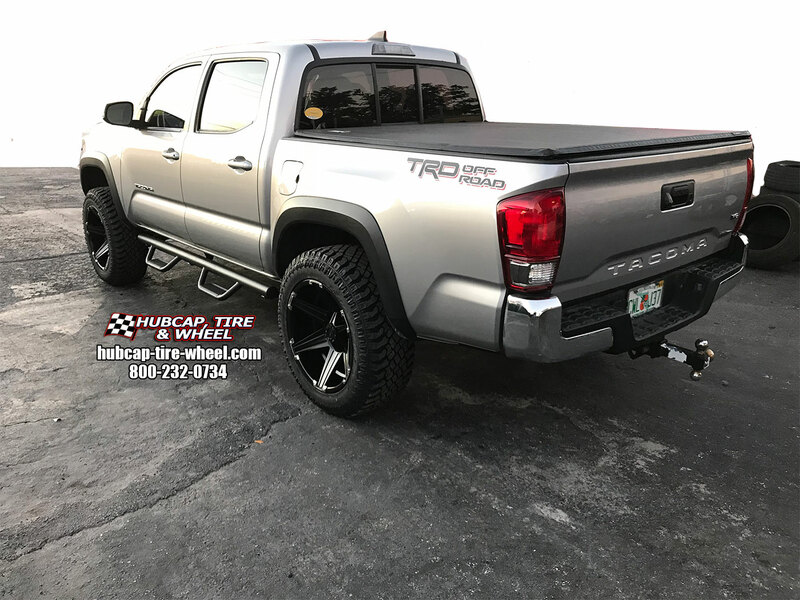 What we like about this set up on the Tacoma is that it is custom but not over the top. It looks professional and clean but yet ready for off-road adventures. Tuff wheels are a great brand of wheels with awesome designs and top quality you expect from custom rims. 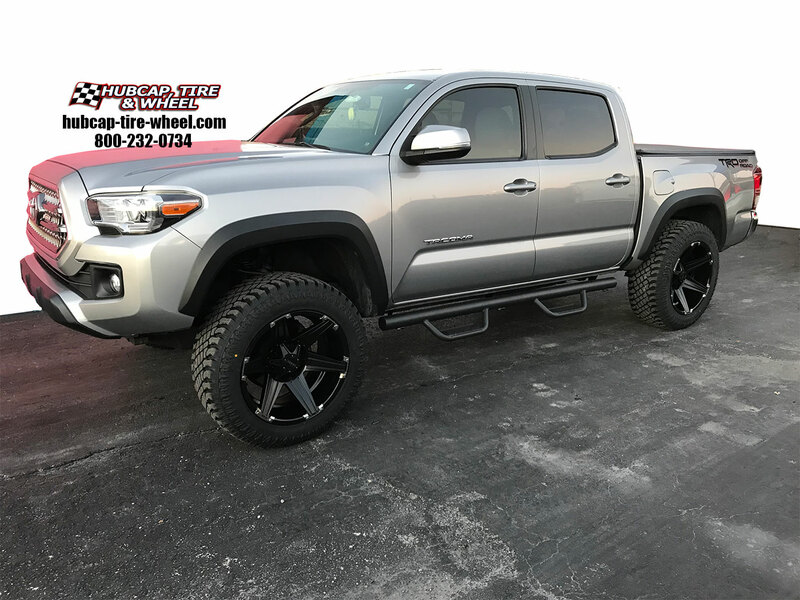 If you’re looking for this set up for your Toyota Tacoma or if you have questions about a completely different vehicle, don’t hesitate to call us. You can reach us at 800-232-0734. Our wheel and tire experts are available Mon-Fri 8:30am-6pm EST and Saturday 9am-4pm EST. Our wheel and tire experts have over 100 years of combined experience and we also offer guaranteed fitment or your money back. This way you don’t have to worry at all about if your wheels and tires will fit properly. We take all the guess work out of it so the only thing you have to worry about is what design, color and size you want. When you order rim and tire packages from us we will mount and balance them for free. That way when you get your rims and tires, all you have to do is take them out of the packaging and bolt them onto your vehicle. It really is that easy. 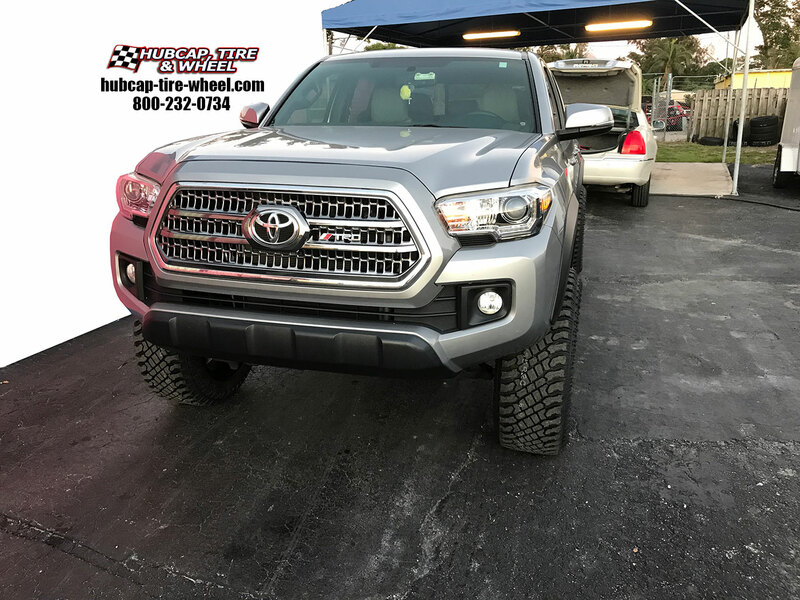 If you want to reach us after hours just go to our main web site at hubcap-tire-wheel.com and click on the contact us page and send us a message.